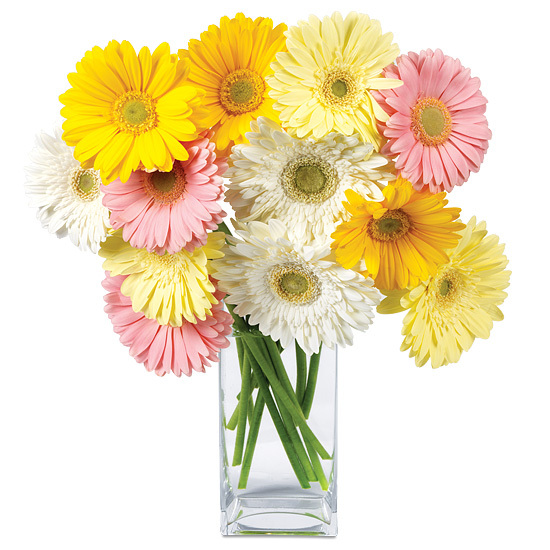 Thoughts of springtime tend to summon images of quaint country cottages, whitewashed picket fences, and friendly neighbors, so we set out to create a bouquet that would convey all that and more. 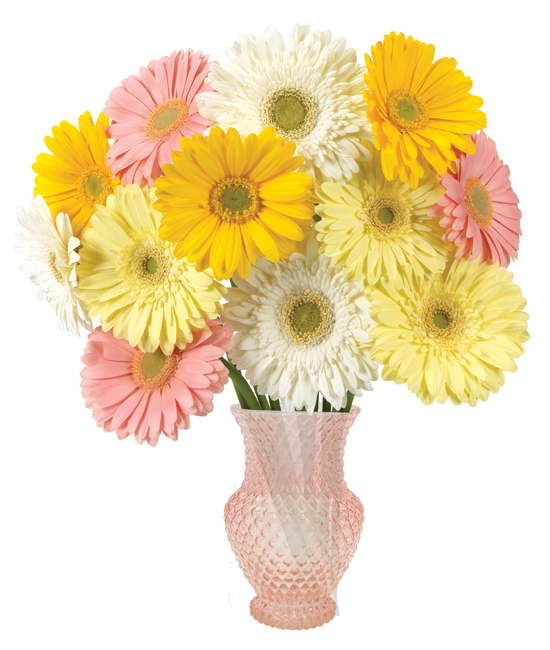 The prettiest pastel Gerbera daisies show off the season in style, their big and cheerful white, pink, yellow, and cream blooms collaborating to make your special recipient smile. Arranged in our glass vase with its pale pink hue and diamond faceted curvy shape, they look delightfully picture perfect. Gently remove the protective nets from each blossom; the petals will gradually unfold to their full state. Fill your vessel with approximately 5 to 6 inches of water depending on its height. The fuzzy stems of these flowers decompose quickly in deep water. To make sure the stems stand straight, support their heads while rehydrating. Bending is a natural attribute of this flower. Always add fresh water daily to hydrate the flowers.